People all over the world turn to alcoholic beverages to relax, unwind, and socialize with friends and family. How long does it take to feel the effects of alcohol? It takes approximately 30 minutes to feel the effects of an alcoholic beverage, but a high hangover after drinking too much too fast can last for several hours. How long does it take to sober up? It depends on the person’s weight, metabolism, and the number of drinks consumed. A hangover is a constellation of unpleasant physical and mental effects that develop after heavy drinking. 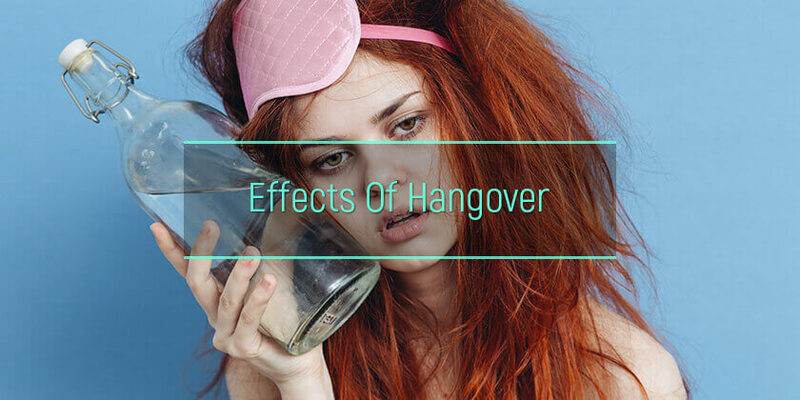 Not only are the signs of a hangover nasty and disagreeable, but the health effects of alcohol withdrawal can also be extremely dangerous with alcohol poisoning symptoms next day as well as more long-lasting damage. Why does a hangover affect the body? How does alcohol affect the digestive system? What are the effects of veisalgia on the respiratory system? What are the hangover effects on the circulatory system? How does crapulence influence excretory system? What are the veisalgia effects on the nervous system? What are the effects on the endocrine system? How does drinking affect the immune system the next morning? What are the dangers of alcohol hangovers? Hangover Symptoms: Why Do They Occur? After a big night of drinking, many people wake up with a horrible hangover. What does a hangover feel like? Common symptoms include headache, nausea, dizziness, irritability, tremors, and sweating. Studies have found that more than 75 percent of people who drink to intoxication experience these effects. How long do the effects of alcohol last? These effects can last for 8 to 24 hours and range in severity from mild to severe. The longest hangover may last several days. Doctors believe the symptoms of being hungover occur due to several different reasons. Alcohol causes dehydration due to fluid loss through increased urination. Many bad hangover symptoms, including headache, fatigue, thirst, nausea, and itchy skin after drinking alcohol are due to dehydration. Other direct effects of alcohol that contribute to these symptoms include electrolyte imbalance, gastrointestinal effects, low blood sugar levels, and disturbances in sleep and biological rhythm. Also, experts believe that really bad hangover symptoms are a result of withdrawal after a bout of heavy drinking. Hangover shakes and tremors are withdrawal effects that occur as the body adjusts to the lack of alcohol. Hangover sweats occur due to hyperactivity of the sympathetic nervous system. The metabolism of alcohol in the liver produces certain toxic metabolites that can contribute to the development of severe hangover symptoms. Non-alcoholic compounds in beverages and other drugs such as nicotine may also play a role in hangovers getting worse. Finally, a family history of alcoholism and personality type are believed to possibly contribute to hangover effects. Alcohol causes direct irritation of the stomach and intestines. It causes gastritis (inflammation of the stomach lining) which is associated with symptoms of severe hangovers such as nausea, hangover vomiting, and stomachache. It can also lead to throwing up blood after drinking alcohol. Dry mouth and thirst occur due to the dehydrating effects of ethanol. Other effects of alcohol on the stomach include stimulation of acid production as well as increased pancreatic and intestinal secretions. Alcohol also delays gastric emptying, leading to GI effects such as upper abdominal pain and diarrhea after drinking. Heavy alcohol consumption can lead to fatty liver, hangover vomiting bile, alcoholic steatohepatitis (inflammation), and cirrhosis. Alcohol affects nearly every major organ system in the body, including the lungs and respiratory system. One of the symptoms of alcohol poisoning days after is slow breathing and irregular breathing, which can progress to coma or even death. Also, research has shown that binge drinking can lead to breathing problems. Excessive alcohol consumption is associated with low nitric oxide levels in the airways. Nitric oxide is a gas that is naturally present in the lungs and protects against bacterial infections. Following alcohol consumption, an individual is more susceptible to pneumonia and other respiratory diseases. One of the most common extreme hangover symptoms is a headache. This occurs because of the direct effect of alcohol on blood vessels. Ethanol is a vasodilator, i.e., it expands the blood vessels, which leads to pressure headaches and migraines. Also, the dehydrating effects of ethanol contribute to headaches. Another common symptom after a night of drinking is a racing heart. Alcohol is known to increase heart rate and produce short- and long-term cardiovascular effects including high blood pressure, increased risk of heart disease, and sudden death. A study conducted at Oktoberfest in Munich, Germany, enrolled more than 3,000 participants and found that high levels of alcohol were associated with cardiac arrhythmias, in particular, sinus tachycardia with heart rates of more than 100 beats per minute. Palpitations, discomfort, and chest pains after drinking alcohol are common symptoms of a hangover. Circulatory effects after drinking have been reported since the 1970s when a condition called holiday heart syndrome was first described, in which healthy people with no sign of heart disease developed atrial fibrillation, a type of cardiac rhythm disturbance, after binge drinking on holidays or weekends. 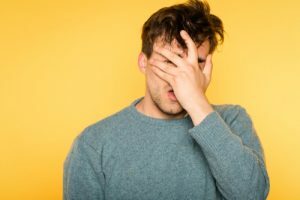 So, the worst hangover ever may be more than just a nasty headache and extreme thirst; it could be associated with more dangerous health effects such as heart rhythm abnormalities. The physical and mental effects of ethanol do not end when blood alcohol levels return to normal. It is at this point that the unpleasant signs of hangover begin. Alcohol suppresses the release of an antidiuretic hormone in the brain. This has a diuretic effect, i.e., it causes increased production and excretion of urine. Along with other effects such as vomiting, sweating, and diarrhea, this leads to a loss of fluids and electrolytes, which contributes to some of the worst hangover symptoms, such as thirst, dry mouth, and dizziness. What are the symptoms of a hangover related to the brain and nervous system? Alcohol is a sedative and central nervous system depressant, leading to effects such as lethargy, malaise, and drowsiness. Ethanol disrupts the circadian rhythm and sleep patterns, leading to a feeling of jet lag the day after drinking. It also affects daytime alertness and attentiveness. As noted, a hangover headache is caused by the vasodilatory effect of alcohol. Besides, ethanol has hormonal effects that disrupt temperature regulation. There is an initial reduction in body temperature, followed by a rebound increase, causing fever after drinking. Other nervous system effects of an extreme hangover, such as dizziness and loss of concentration, occur due to dehydration and the associated drop in blood pressure. Fluctuations in blood sugar levels can lead to mental effects such as anger, anxiety, aggression, and mood instability the day after drinking. The body attempts to counteract the depressant effects of ethanol by increasing nerve activity and amplifying signals in some parts of the brain. This leads to common hangover effects such as light, noise, and touch sensitivity. Alcohol rehab centers provide the friendly settings for patients with neurological disorders. What Happens To The Endocrine System After Drinking? Ethanol causes the islet cells in the pancreas to make more insulin, the hormone that regulates blood sugar levels in the body. Increased insulin levels lead to a drop in the concentration of blood glucose, which is associated with hangover side effects such as feeling exhausted, sluggish, and weak. The dehydrating effects of ethanol are also mediated through the endocrine system. Ethanol decreases the secretion of vasopressin or antidiuretic (ADH) hormone from the pituitary gland in the brain. This hormone tells the body to stop urinating and conserve water. Lower levels of this hormone after a bout of drinking lead to increased urine production and dehydration, which in turn causes many of the effects that make a person feel so hungover. The severe dehydration may be the reason for hospitalization. The constant alcohol abuse resulting in hangover is a warning sign that alcoholism treatment shall be considered. There is scientific evidence that the immune system is involved in hangovers. Studies have found that alcohol consumption is associated with significantly elevated levels of cytokines, chemicals that mediate inflammatory reactions in the body. The severity of symptoms the day after drinking has been linked to blood cytokine concentrations. It is believed that the inflammatory effects persist long after the acute symptoms of a bad hangover have subsided. Poor immunity may play a role in curing a hangover. Individuals with a poorly functioning immune system are more likely to suffer severe hangover symptoms. Besides, drinking alcohol affects the immune system and increases the chances of contracting an infection. It also prolongs recovery time from infections. Almost all the major body systems are impacted in the period after consumption of alcoholic beverages. Can you die from a hangover? For hangover getting worse and symptoms such as disorientation, slow or irregular breathing, pale, bluish, or cold skin, loss of consciousness, or seizures, it is important to seek immediate medical attention, as these could be signs of alcohol poisoning, a potentially lethal condition with serious long-term health effects. Why are my hangovers so bad? The type of alcoholic beverage may be playing a role. Different drinks have different effects. Red wine, brandy, and whiskey contain several congeners and are more likely to cause severe hangovers effects. On the other hand, vodka and gin are pure ethanol with fewer congeners and a lower risk of causing a really bad hangover. How to cure a bad hangover? There is no single treatment that can prevent these effects, shorten their duration, or reduce their severity. As mentioned, alcohol causes dehydration and a fall in blood sugar levels. A hangover cure pill contains medications that treat common symptoms such as headache. Conservative measures such as staying well hydrated and eating healthy foods can help in quick recovery from a severe hangover. Ibuprofen is a good pain reliever for a hangover and can help with aches and pains, but it can worsen damage to the stomach lining. It is a good idea to avoid acetaminophen (Tylenol) for pain because it can cause liver damage along with alcohol. How to not have a hangover? Hangover symptoms are less likely to occur in individuals who drink responsibly, i.e., small, non-intoxicating amounts of alcoholic beverages paced out throughout the evening. Eating a hearty breakfast and drinking plenty of water helps replace fluids, electrolytes, and nutrients. Resting and getting a good night’s sleep may also help prevent a hangover. Smoking significantly increases the incidence and severity of hangovers, so avoiding cigarettes is recommended.